When I first moved from Next Jump’s headquarters in New York City to our Boston office, I was tasked with reorganizing our Network Operations team. It was one of the most lonely experiences I have ever encountered. I ended up choosing to replace a more experienced individual (who I believed to be the wrong fit from a cultural standpoint) with a young, 22-year-old leader. While I knew that some individuals would react positively to the decision, the potential backlash could upset others (who would likely leave Next Jump). I wrestled with that decision for weeks, alone and in my own head. I believed that letting the experienced individual go was the correct decision, but I had a nagging suspicion that I was missing something. I ended up hesitating and making compromises that – ultimately – I regretted. At the time, I believed I could not talk out the decision with others; the narrative in my head was that my role as new leader of office prevented me from sharing my doubts and tension with others. While that was certainly an important decision for me, it is said that we make hundreds of decisions on any given day. A statistic that has grabbed my attention is that the difference between a great CEO and a good CEOis the difference between making 95% “right” decisions in a day versus 85% “right” decisions in day. That is a lot of pressure for a leader. I have (slowly) recognized that I have my own blind spots in decision-making and, in the heat of the moment, it’s hard to catch myself when I slip into a similar pattern of poor decisions. 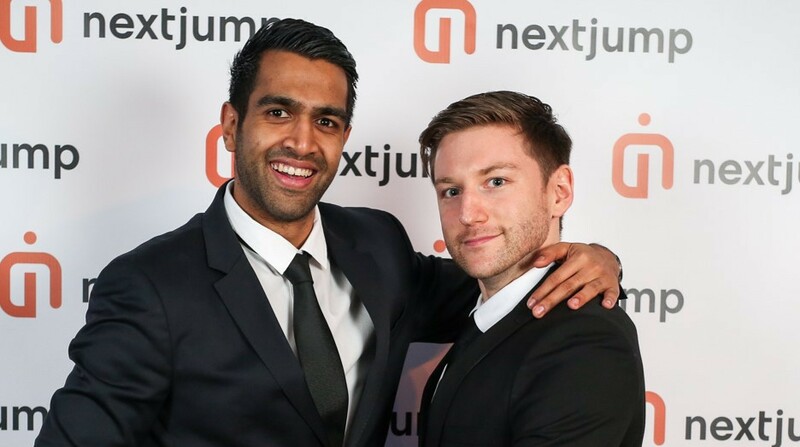 A few years later, we introduced a program called Talking Partners at Next Jump. The program was piloted by our CEO, Charlie Kim, and our now Co-CEO, Meghan Messenger. While the relationship between Charlie and Meghan started (in many ways) to help Charlie, today they are co-CEO’s and Meghan is literally running the company with Charlie. Today, I share an office with my Talking Partner, Holly. She is my most important ally in improving my decision making at work, in other areas of my life, and in my personal growth. Research by Gallup has found that employees with a close trusted relationship at work are seven times more likely to be engaged in their job and, consequently, are more likely produce higher quality work. I recently interviewed our co-heads of our London office, Tarun and Henry. At 25 years old, Tarun has risen from an entry-level role in Customer Service to his current role leading the London office in less than 5 years. Henry is an engineer who joined Next Jump after college and has quickly grown as a leader within Next Jump. While both of them have very different roles from a business perspective, their Talking Partner relationship has been key to their growth as leaders. (1) Meet: Create rituals where you and your TP can interact and observe each other in action. Examples include having breakfast together in the office, working out in the gym with each other, and having joint meetings with your respective teams. Tarun and Henry have found that sharing their feedback and feelings in real-time versus letting them bottle-up has made a profound impact on allowing them to get to the root cause of what’s going on, and helps them to prioritize where to dig-in and address. (3) Work: Setting rituals that help you and your TP become more productive. One example is using Friday as a “rear view mirror” to reflect on what worked and what did not work, and plan for Monday (as opposed to waiting until the following week). There is no worse feeling as a leader than coming into the work on Monday without a sense of focus. Another example is to help each other identify areas to deliberately practice on improving a weakness where they could observe and coach each other.